See, it's funny Julia. On YOUR desk my eyes go right to that beautiful scrapbook layout and I don't even notice your mugs and stuff until you point it out. On mine - all I SEE is the mess! Create With Joy - #2? WOW..I'm first, no doubt will not happen again so soon. I first noticed the big spoon! I could use something refreshing before I'm off to dream. As those cups could have had usable things in them for crafting. Thanks for the tip with the dental floss, had a time I could have tried that. Happy WOYWW and enjoy the event. G'day Julia. I reckon this is the earliest I have EVER been. I've been sitting here visiting WOYWW people and refreshing the Stamping Ground between times. :-) Now I can go out and trim the hedge. Great shot of the desk and layout for the workshop. Dental floss is a good trick, thanks. I've also used one of those flat staple removers with reasonable success. You caught me unawares with your slightly early start! I too went straight for the layout rather than the rest (I won't say mess!) Have a great, if chilly, day! Oh Julia, I did a close in shot of my wild desk tonight...it is pretty bad! If I get something stuck in the wrong place, I heat the paper with my embossing gun. It works so so slick and never rips the papers...maybe heat from the back if it is a picture though! Love your desk Julia, messy or not!! Hope you're staying warm and that you have a great Wednesday. It's great to be back (finally!) having a go at WOYWW - 39 weeks missed! Strange how we all see things different..... Your snack tray was healthy!!! I too found a coffee cup on mine this week, sadly it had been there for a while! Two mugs huh... is my son related to you in any way? I pop my head into what was my second spare room and which has now become his study across from his bedroom (spare room number 1) and he always seems to have a collection of them on his desk!! i never noticed your mugs n stuff until you pointed them out - all i saw was the beautifully, lovely photo lay-out - just gorgeous! Heard about the flossing but never done it myself, clever idea though. Lovely scrapbook page as well. Made a mess of my entry this week, tried to schedule it and got the time wrong and managed to change the date when I just altered it. For some reason it now shows as Sunday - it wasn't, honest, took the photo yesterday afternoon. Snack tray? Looks like a healthy snack to me so no apology necessary. Great tip about the dental floss. Once again you've been busy Julia. Looks like you're working on some interesting projects. I was hanging about trying to be #1 (as I'm on holidays) but alas I had to go out to the shops and now find myself #38...still impressive! Thanks again for supporting us and I forgot to thank you for the WOYWW badge that you sent me last year...I will have to include it in next week's blurb. The page you're working on looks lovely. I don't eat in my Craftcave - I'm too scared of spilling food on a project! The dental floss tip is one to keep in mind - I usually ease photos up - very gingerly, it has to be said - if I want to move them. The way I stick them down with just a little sticky, it works. Love the look of your layout, with all this snow about it's nice to see something that looks flowery and spring like. I see a very lovely layout and a card to the right....but...what is on your easel?? It's very interesting looking and I wanna know/see more, lol!!! I'm just nosy like that - wink! Hey I started looking at the scrapbooking page and thinking it was really pretty, then you blew it by saying something about coffee cups and being messy. For real I was not here for the messyness, I was still revelling over the snow outside from last week. Dental floss for the lifting of stuff hmm thats a good one, I used dental floss mini brushes for getting into the tight corners on chipboard to ink them, athey are like mini bottle brushes LOL they are great for your teeth too. Loved visiting today, but don't think i will get around to many starting to feel ill again being on the computer. bye for now stay warm and happy crafting. funny how desks look the same but vastly different too. Maybe we should have a comp where we identify mystery desks? Love your good honest mess as it's still creative and your LO is looking good. I spy evidence of the cold white stuff still lurking through the chinks of window. lovely layout my eyes went first to the card and the layout i dont notice the messy bits like cups til you point them out. How lovely to have someone to make you a cup of something warming, Julia, don't turn them away!!! Love the look of those papers you are scrapping on and do I spy some Michael Powell images waiting to be made colourful???? Hi Julia, great layout and I think a snack tray is a brilliant idea. I often take one down with me! Re the spam. I've found that I don't get much spam now because I don't allow anonymous comments. So no WV, but because you can only comment with one of your accounts ie google which most peeps who follow my blog have I still get plenty of feedback but so far only 1 spam comment! Morning Julia, a very busy desk today, mine is very tidy in comparison, which is not me! Can't stop must dash, have just boiled my eggs dry while doing my post. Will come back later. Julia what is a mug or two between friends. Your desk is always a treat and one has to eat while crafting. Something needs to sustain all those great ideas. will have to go visiting later, but surely will stop by to have two, three or more looks at your workdesks!!! My eyes were drawn straight to the layout - from your trip to Turkey last year? Plus the Michael Powell images of course. The tray's allowed because it shows HEALTHY EATING (well, I think it looks like pieces of apple beside the yogurt pot!!) And it shows you haven't been so engrossed in creating that you forgot to drink and keep your fluid levels up........LOL!! Mrs Mouse is dressed now so you can't moan at me this week!! Morning! 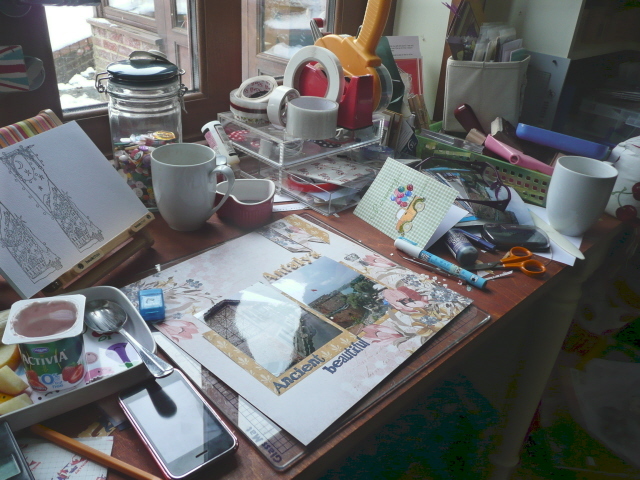 I forgot to link... yes love your layout, and of course your tidy crafty desk, look inviting..!! Eating and drinking whilst you craft is the only way to go otherwise, distraction after distraction leads to sticking things down where you don't want them - oh! too late. Love the ute card I spy on your desk with the little balloons in it.. Really like your layout really pops your photos like how the flowers come over the edge of your photos. Nice healthy snacking you have going on there. How lucky you are to have people bringing you hot drinks! On Friday my children got sent home from school, along with another friend plus my husband. I ended up making cards whilst making hot chocolates, chips, pizzas and anything else required. Still they did play outside happily for hours and I managed to make 10 cards. We spied your yoghurt tub, but we did spot the LO first, which looks lovely. I seem to be getting good at this, back for my third week running. Lucky you having someone to make you another coffee, when I go into my craft room my kids forget I am around. Love the look of your scrapbook page. I didn't get to play this week and am missing it already! Just look at your desk! So much going on and just look at the snow outside your window! Makes you feel all warm and toasty to be inside! Great page your working on! And yes its messy, although in a good way!The images on your I-pad stand are lovely! As it's a bit early here, I'm drooling over your two coffee mugs, haven't had mine yet!! Your layout looks very interesting! Love the layout Julia. Its not really messy, just organised chaos. I am very interested in what is on the easel? That stamp looks lovely. As for your coffee and snacks, I dont craft without a pot of tea. As a card maker my eye was taken past the coffee cups and landed on the card first. Lots happening on your desk,eating and drinking too. I am going to see how many nice cups i see today. Lovely page, like the papers. Can you e-mail me the latest workshop schedule, or get me added to Shopkeeper Gal's list? I see on the left you have managed some good impressions from those DoCrafts Michael Powell stamps. Any hot tips on that? I've found all the new 'urban' brand stamps to be a bit hit and miss on that. The way I see it you're in such a creative zone that you're practically living at your desk whilst whipping up paper, embellishments and photos into a frenzy of magnificent pages. The other people in the house are doing the feeding (of you) and the leaving of used mugs, not you! See how this works? You're not playing the game to your own advantage! The scrapbook page looks lovely! I'm pretty poor at scrapping as I have to beg the kids to send pictures!! I also looked back to see your snow covered car! I remember those days when we lived near Yellowstone Park in Wyoming, USA. Hope you have a great day! I would not have noticed the cups on your desk but I did spot your Activia pot, only cos I lurve those! Lovely images waiting to be coloured and I love the papers you are scrapping with. Thanks for the tip on dental floss. I use the forkey things (forgotten what they are called) so will have to buy some. Mind you, I don't tend to press down too hard until I am happy with the placement to save the bother! ATG is a pain to get undone! I don't think your desk looks too bad, I always have at least one cup on mine at all times, normally filled mind you! The floss tip is brilliant, must remember that one! At least your snack is a healthy one. I can see your snow. Lovely. My eye went to the two beautiful stamped images on your ipad stand...Love the LO too. One can never have too much to drink at your desk either so why not accept the kind offer of a second mug? I know I would. I love that you keep it real and don't tidy up! I am week three and am loving this linkup.....SOOOOO much fun! Someone made you a coffee oh if only, although I did get a cup of tea and the remainder of a box of choccies (I resisted shouting I'm on a diet) in the couple of hours (4to be precise) that i managed work for today, home again still suffering with the lurgy. You had me laughing here. The Pages heading sounds interesting. 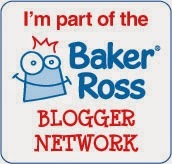 I really should do some research on blogger so I can advance. I notice the truck stamp on the card. That is one of my favorite stamp sets. Too bad about having use the dental floss on something other than your teeth! Neat trick though. For once I managed now to ramble! So short and sweet by my standards this week...hope it is by yours too! I am eying up the stamped images you have propped on the easel...they look like fun to colour...the layout you are working on is gorgeous! I have not been to visit in so long it seems - difficult times here and have not been able to create. I love your creative chaos and it is always such fun to check out everything in detail to see what all is being worked on! Wishing you a happy day today! wow!!! lovely workspace and I love the scrapbooking you are in the middle of!!! Happy WOYWW!!!! Oh we aren't supposed to show off our dirty dishes lol, I've got a cup and a mug in my shot, but not because anyone but me didn't tidy! Ah well, mess occurs ;) You do realize they always ask the busiest person to do anything! I love the page on your desk! It is beautiful! That's a fab desk today, Julia! I can see your snow through the window, and it's okay to have two cups to warm you, altho I wouldn't necessarily have coffee in both, and I spy an adorable card with a pickup full of balloons, a wonderful layout in the making, and a container of probiotics to keep you healthy and hosting for years and years to come!! Your page layout looks wonderful. I hope you show the completed one. What a great idea for dental floss, I've never heard that. I've learned two things already today....I think it's time to go play before I forget what I've learned. Love looking at the snow outside your window. I'm just very happy it is your window... We've had very little snow this year. Touch wood, I am hoping to get through the rest of winter that way! Happy crafting! I'll be over! Snacks, coffee and a very inviting crafty area!! Looks like a very fun bicycle card! A great layout in the works too! Two empty cups mean you have been busy noy that its messy. Loving the no-holds barred photos. It feels like access all areas! Congrats on the pages. I find the whole blogging thing kind of addictive - I have all kinds of pages and all sorts! If you want to stop spam comments I disabled anonymous commenters on my blog and it worked a treat. I am linking up my Insta-Art post today. It's part of a series I have on my blog that shows my art from start to finish and shows a lot of what's on my desk. Yay on figuring out how to add pages. :D Love the colors on the card, that was the first thing I noticed. Good to know about the dental floss, I don't know how many pictures I've had to reprint because I messed them up when I tried to move them. I'm waaaay down the list this week - I uploaded my post in the early hours this a.m. before going to bed, and then after getting up late, was all in a rush to get ready for our lunch out, and forgot all about it!! Still, better late than never, eh. Love the dead coffee mugs and the half-eaten yoghurt, Julia. There's realism for you! Great layout, though. If you want to see an untidy desktop - my first contribution - I am no. 145 - ha ha - and a great mess you are right here. love the tip with the floss! Sick with the flue today, but hey, made sure I did not miss this! from one mess to another Happy WOYWW. Great tip about the dental floss - mind you, I hope I don't need it! The scrapbook layout looks lovely. love your desk! now I don't feel so guilty about mine .. .. except I only shared a corner of the table today, the rest would give yours a run for the money! your workdesk should be cluttered. it's a sign of a busy crafter. i'm always so afraid of spilling my drink i tend to keep them off my desk. although a coffee stain could be fun to work with. Your desk is always so interesting! One of these days I'll get the courage to share mine. Hi! Thanks for hosting WOYWW! It is one of my faves. :) I was wondering what paper you were using on your layout. 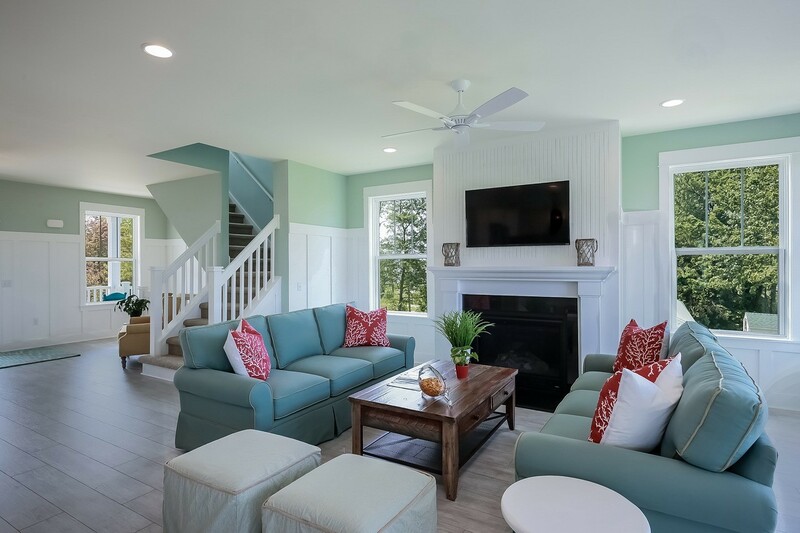 I really like the color scheme. I look forward to seeing what you do with those Michael Powell images. Thanks for the reminder about dental floss - I'd forgotten about that tip. I love the look of your layout. Never heard of the dental floss trick before - thanks for the tip! dental floss as a scrapbooking tool! first time i've heard of that! genuine WOYWWers have no shame when it comes to letting their visitors come and visit. i like your snack! looks good! Hi, Julia! 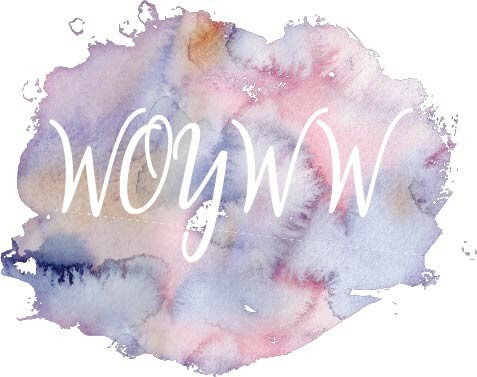 Okay, the thing I said about the two blogs, it's because the #50, Julie--it links back to you, so in my WOYWW commenting blur, I confused that with a second site. That's it 16-08 on Friday and I have just finished visiting, I have had a lovely time, and you don't have to hide behind the curtains! Hi Julia. I didn't make it to the Wednesday hop again this week, but I am trying to call in on those I follow or who follow me. There is no need for shame. It is a very healthy snack tray! Thanks for your visit, Julia, and your good wishes. Yes, spoke guards duly completed and duly paraded around said craft show! I had loads of fabby comments about them. I'm now feeling slightly better after the experience but have had two really bad nights and felt lousy yesterday, but I'm not complaining because it was my own fault for over-indulging myself in the Fun Department! I'll soon be over it, and looking forward to going through all my purchases which are still all dumped in a heap on my ARTHaven floor! First job is to sort through the receipts and get over the bad news of how much I actually spent!!! Love the updates. I have been updating a few side things on my blog too. (The WOYWW gadget was one of them) Sorry so late this week. End of the swim season and end of the basketball season means one very busy and tired mom. 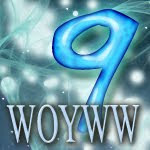 Just posted my first WOYWW. Lovely idea. But it doesn't actually show my desktop per se. I'll rectify this next week. HAHAH Ooops, I linked twice to this one and didn't ever realize! I refreshed the page and it dropped me down to last week...If you'd like, and are able, go ahead and delete my link #167.